Use this homeschool mini planner to keep track of your learning! 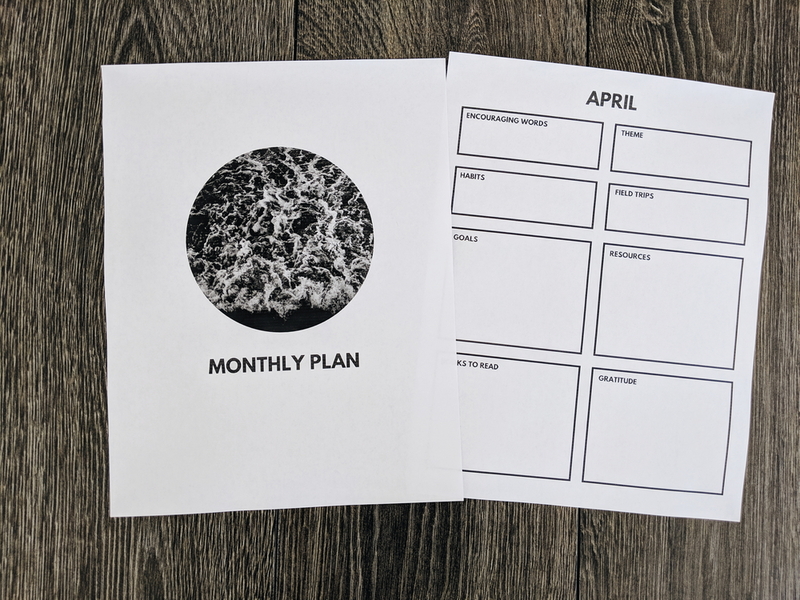 This mini planner is perfect for those homeschoolers who like to set goals but don't like to follow a strict schedule or routine. The planner is undated so you don't need to purchase a new one each year. Please note: this is a digital download for you to print at home. Curious about what the Mini Planner all entails? Read on! This type of planning works perfectly for me and I know it will also work for my rebellious homeschool sisters who like to have a bit of a plan but don't follow a strict schedule or routine. 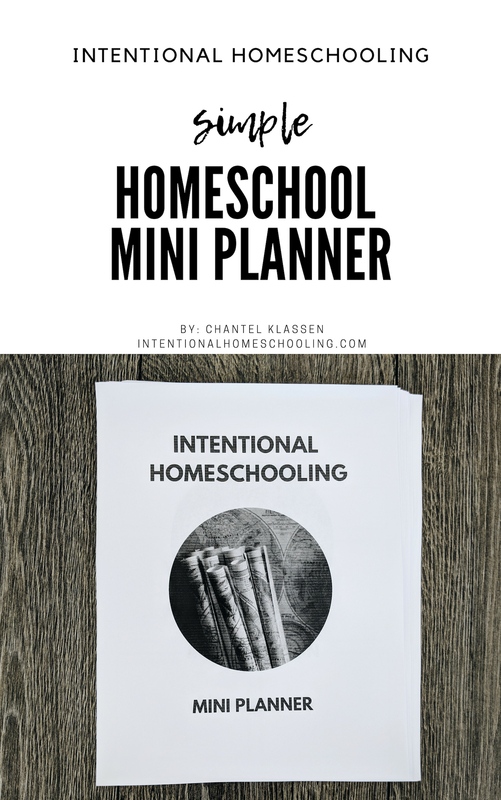 This type of planning helps me be intentional with my homeschool without feeling boxed in. 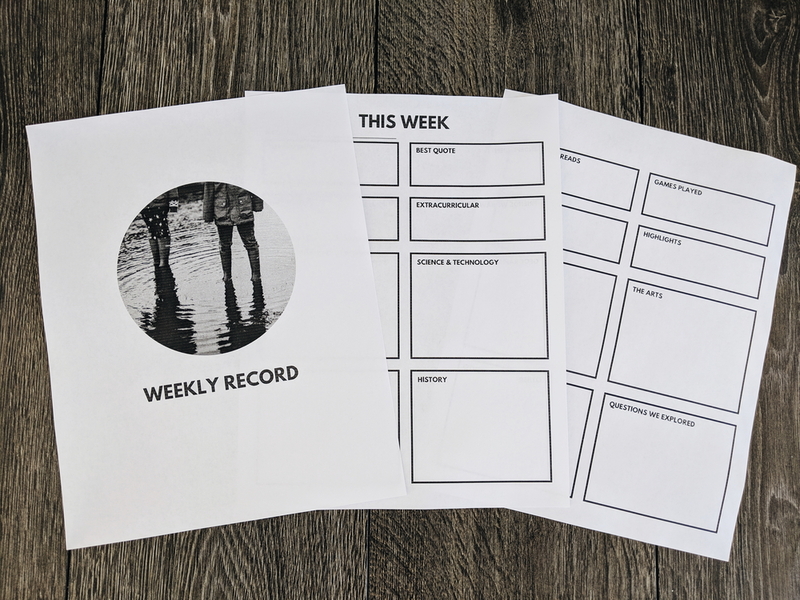 My favorite pages in the mini planner are the weekly record pages. Not only is there space for the typical subjects but I also have a section titled "questions we explored" because my kids' questions take us on so many great tangents. Another one of my favorites is the "best quote" space - because kids are always throwing some great quotes out there! I like to have this weekly page out in a high traffic area so I can use it to jot down questions as they come up and other things that I can document. One area I would like to try to do better in is doing some unit/theme studies. 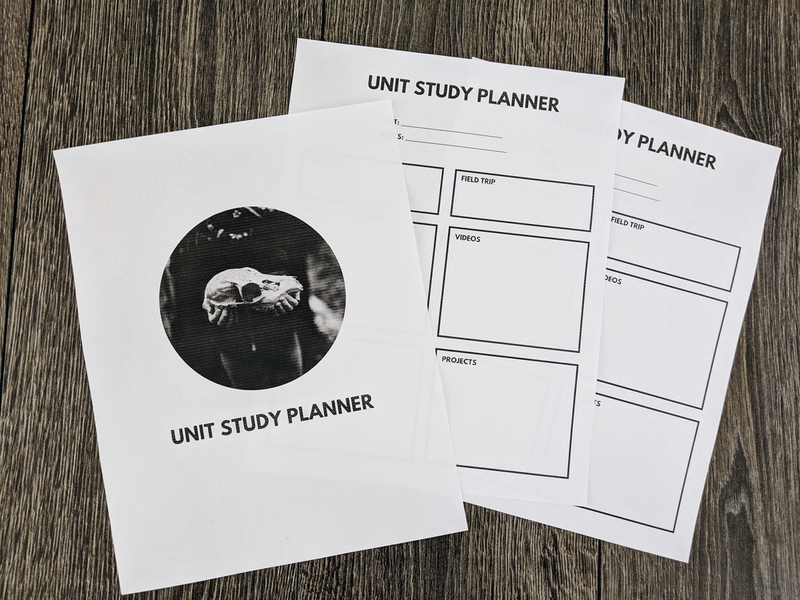 We've enjoyed them when we've done them but they take more planning than I've been doing lately so I created a unit study planner to help me with this! I hope to be using this in the very near future! No planner can be made by Chantel if it does not include book lists. I think that's a rule. 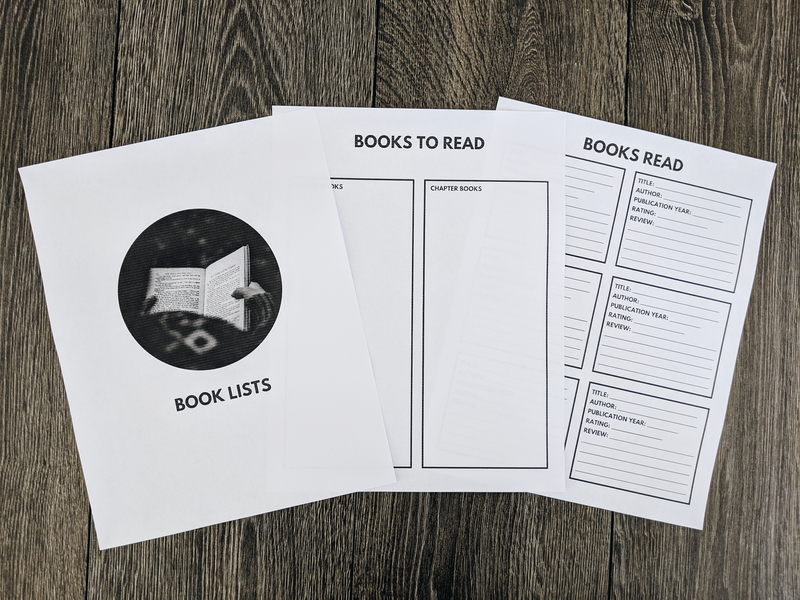 So, there are some book list printables! and a few lines for a review/favorite quote/summary/whatever else you want to include there - I think this will be really nice to look back on and see what you've thought of the books you've read.